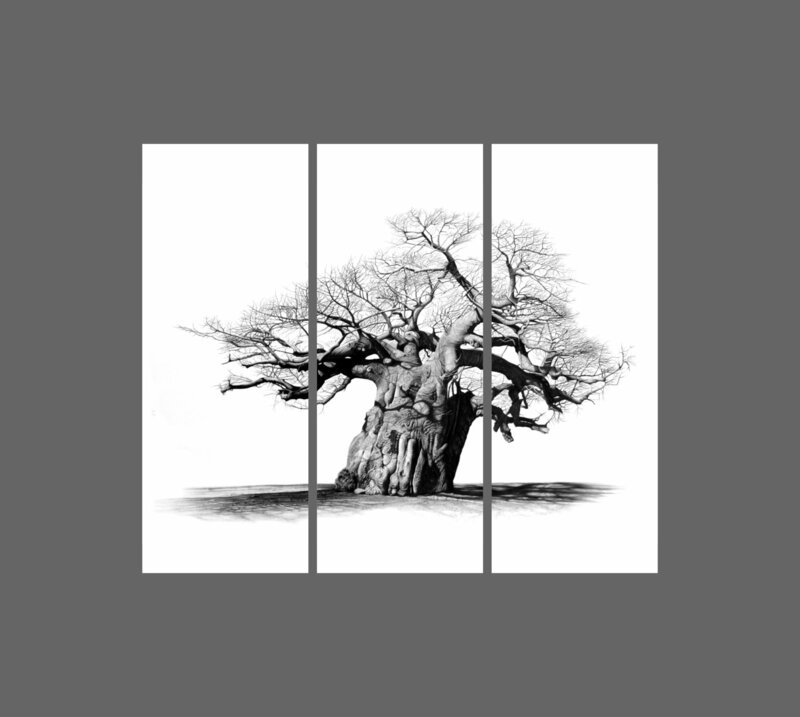 "Timbavati Sentinel" 1200mm x 1000mm signed limited edition (25) print on canvass, supplied in 3 separate un-stretched pieces with a 50mm border all round. Comes complete with simple instructions for framing and hanging. Reproduced from the original pencil drawing.